We’ve been involved with a wide range of projects over the last few years and it’s been the more unusual, or those seen travelling down the motorway on the back of a lorry that grab all the attention…! It’s also because of these that unfortunately we can be pigeon-holed as simply being a cheap, temporary prefab manufacturer. The reality is quite different. The fundamental aim of our company is to provide better quality design and living space, that is affordable. It can then be customised (or upgraded) depending on a client’s preference and/or budget. We think everybody deserves to live in much better buildings. 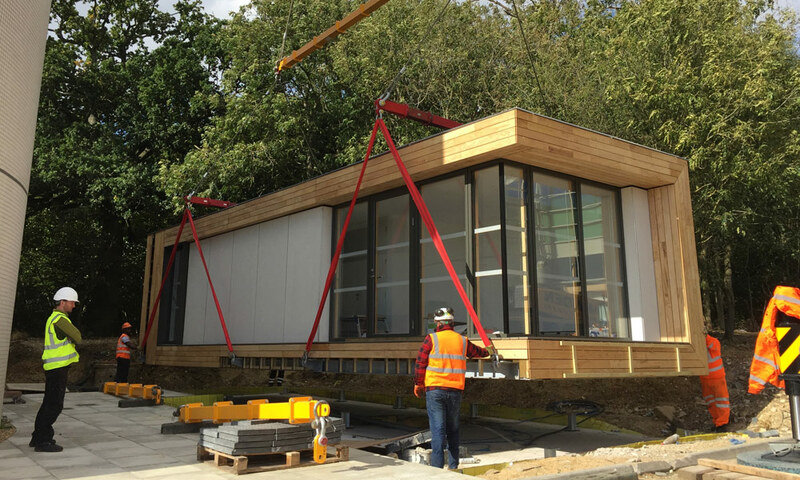 The fact that our buildings are modular, based on a prefabricated timber frame system, can be mobile, and can even float, is not only a bonus, but these characteristics help to achieve our goals. Through an element of modularised design and standardisation we can maintain quality whilst bringing down the price. We don’t want to compromise on the materials and components we know work well. We’ve recently completed a fully fitted out building off-site (pictured above) and transported it from Manchester to Essex, lifted it in position and connected the services in just a day. This particular building is a security pavilion for a business park, but it could easily be a one or two bedroom home. Despite it being a small commercial building, it is built to our standard specification and uses the same timber frame system. We’re continually demonstrating how flexible our designs can be. Cramming all of our expertise into a building which can fit on the back of a lorry makes building larger more permanent homes on-site seem easy! Actually, that’s not quite true. Both building on and off-site have their own challenges. 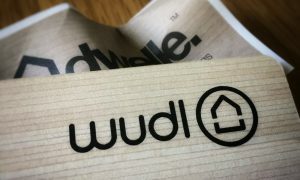 The point is, you can overcome the logistics of “delivering buildings”, the real challenge is delivering better quality more affordably… and sustainably.